Four specialists take out leading vExpert status for 2017. Four ViFX specialists have been awarded vExpert status for 2017, designed to acknowledge standout VMware expertise in the market. VMware vExpert is an honorary title granted to outstanding advocates and practitioners across the world, with Matt Allford, Steven Kang, Nick Bowie and Bayu Wibowo receiving local recognition. “We are very pleased to see our team recognised by VMware to be experts in their field, as well as giving back to the VMware community as a whole,” ViFX Director of Managed Operations, Symon Thurlow, said. “This recognition across our team demonstrates our continued commitment to VMware enterprise customers. 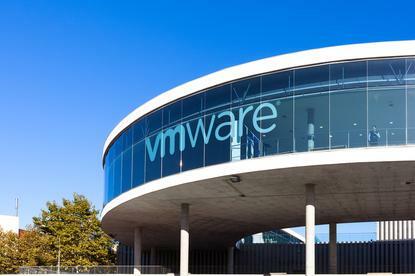 Thurlow said the vExpert program is the vendor’s global evangelism and advocacy program - candidates must meet strict criteria in order to be accepted into the program, including a demonstrable and sustained contribution to the wider VMware community. “We observe that adoption of cloud is bringing organisations to demand cloud like capability in their on-premise infrastructure, so our guys are flat out helping organisations move to more of a DevOps delivery model,” he added. The recent recognition follows Nick Bowie also achieving VMware VCDX in 2016 for the company, which is seen as the vendor’s most esteemed accreditation in the world. Based in Auckland, ViFX delivers cloud services, infrastructure services, managed operations, service management and business intelligence services, spanning industries such as government, education, health, utilities and commercial. “We also find that many of our customers (through necessity) are pivoting their internal IT teams to cloud-technologies, and are therefore looking to us to run their Virtual Platforms whilst they re-train or re-deploy staff to accelerate their adoption of Cloud,” Thurlow added.